"We were very interested in looking at the relationship between lighting and how that may be affecting your weight," explained study senior author Dr. Phyllis Zee, director of the sleep disorders center at Northwestern University Feinberg School of Medicine inChicago….Zee said the strongest association was seen in people exposed to light that was at least 500 lux, which is the equivalent of a well-lit indoor room. Outside on a sunny day provides 1,000 lux or higher, while most indoor rooms are about 200 to 250 lux, according to Zee...But, the timing of the light also mattered. Those who were exposed to brighter light earlier in the day were the slimmest." Previous studies have also shown a connection between light, appetite, metabolism, and weight. From the PLOS ONE research article: "Several studies now indicate that morning light exposure influences body fat ,  as well as the level of appetite regulating hormones... leptin and ghrelin ...The results of this study demonstrate that the timing of even moderate intensity light exposure is independently associated with BMI….Our findings, similar to those from two different animal models ,  found that changes in the timing of light exposure were associated with body weight independent of caloric intake. One possible mechanism linking light directly to BMI, rather than caloric intake may be the influence of light on the expression and secretion of hormones, such as melatonin." So, the research is still in early stages, we are not quite sure which hormones are being affected, and how the light might lead to lower weight. From a practical standpoint, should we do anything? How much caffeine in chocolate covered coffee beans? Death by caffeine? So, for now, I think we'll keep it to three coffee beans per day! The article notes the connection between junk cravings in the brain, and obesity: "Obesity is associated with hyperactivation of the reward system for high-calorie (HC) versus low-calorie (LC) food cues, which encourages unhealthy food selection and overeating." Those in the behavioral intervention group lost an average of almost 14 pounds after six months of training (vs. those in the control group, who actually gained an average of almost 5 pounds), AND those who lost weight through the behavioral program actually changed their brains toward healthier responses - their brain activation on the MRI showed that their "reward areas" in the brain now preferred healthy food. "This study provides the first demonstration of a positive shift in activation of the reward system toward healthy versus unhealthy food." According to the news release from Tufts: “Although other studies have shown that surgical procedures like gastric bypass surgery can decrease how much people enjoy food generally, this is not very satisfactory because it takes away food enjoyment generally rather than making healthier foods more appealing,” said first author and co-corresponding author Thilo Deckersbach, Ph.D., a psychologist at Massachusetts General Hospital. “We show here that it is possible to shift preferences from unhealthy food to healthy food without surgery, and that MRI is an important technique for exploring the brain’s role in food cues.” The diet the patients were coached on, compared to the standard American diet, was lower in glycemic index, and higher in protein and fiber. It is pretty remarkable that researchers were actually able to see on brain scans, what we have observed in our clinic - that behavioral interventions/healthy lifestyle training and support, can change people's preferences to healthy food, and away from junk food. The editor notes that more research is needed, but that "individuals on a structured behavioral weight loss program had a change in brain activation on MRI towards low calorie vs high calorie foods at the end of a six month period…this study is the first to show that brain activation can be altered toward healthy vs unhealthy foods by a behavioral intervention." This is pretty big news, since many people are afraid that they will always struggle with intense cravings for junk food - and this fear of suffering, and failure, can prevent them from ever starting a healthy weight program! You can call or email us today for more information: (603) 379-6500. "Pilot randomized trial demonstrating reversal of obesity-related abnormalities in reward system responsivity to food cues with a behavioral intervention"
Weight Critics Only Make Things Worse! If they REALLY want to help, the research shows that family and friends CAN help by giving positive "acceptance messages" - telling their loved one that they ACCEPT their body AS IT IS. These positive acceptance messages actually lead to better weight maintenance, even weight loss. Researchers suspect that the supportive messages help reduce stress, and inspire self-confidence - which then help the person struggling with weight to adopt healthier behaviors. Makes sense, doesn't it? If we feel good about ourselves, relaxed and confident, we are more likely to have the energy to take action for healthy, self-care behaviors. From the article: "women who were given a higher number of what the researchers have referred to as acceptance messages dealing with their weight had better weight maintenance. These women even had more weight loss than their counterparts who didn't get positive messaging from the loved ones in their lives...when women who are concerned about their weight were informed that their loved ones accepted them as they are, they had more positive feelings about their bodies...Logel sees feeling that our loved ones are accepting us just the way we are is a significant part of social support. It has been suggested by this study that feeling better about themselves lead the women to be more active or to adhere to more healthy diets. It appears that being given unconditional acceptance might have decreased their stress which is a known cause of weight gain." If the family member/friend ignores the science, and persists in the criticism, you can explain that their behavior is a form of 'concern-trolling', a passive-aggressive form of sabotage, and you would appreciate it if they would stop that behavior. (A "concern troll" has been defined as person who is posing as a helpful ally, but in reality is merely a critic and bully, trying to stir things up.) That may well confuse them, which is okay - they are likely to give up at that point! The important thing is that you feel good about yourself - and don't let anyone take that away from you! 'Tis the Season - for Sugar Addiction? Why is it so darn hard to control ourselves around holiday sweets? Why can't we 'just stop at one'?! Are we just weak-willed, or is there a neurochemical basis that is driving addiction-like cravings? Seems like my patients are not the only ones asking these questions - the New York Times just ran an Op-Ed article called: "Sugar Season. It's Everywhere, and Addictive". The story discusses the theory that humans, until recently, faced food scarcity, and those who were 'wired' to like, love, or REALLY love sweets, tended to be those who survived - and passed those genes along to us 'moderns'. Unfortunately these genes - which can turn our brains into carb-craving machines - can really backfire in the modern world, where we are surrounded by an abundance (overabundance?) of super-delicious, 'hyper-palatable' treats. The constant temptation of sweets everywhere - easy to reach, easy to eat - can really 'light the fire' of cravings, and set that fire blazing. The more we see/smell/eat, the more we want of the same. And it's all there, in our neurochemistry. This review article ( http://www.ncbi.nlm.nih.gov/pmc/articles/PMC2235907/) states that "Based on the observed behavioral and neurochemical similarities between the effects of intermittent sugar access and drugs of abuse, we suggest that sugar, as common as it is, nonetheless meets the criteria for a substance of abuse and may be “addictive” for some individuals when consumed in a “binge-like” manner. This conclusion is reinforced by the changes in limbic system neurochemistry that are similar for the drugs and for sugar. " This more recent 2013 review study (http://www.ncbi.nlm.nih.gov/pubmed/?term=Sugar+addiction%3A+pushing+the+drug-sugar+analogy+to+the+limit) states that "evidence in humans shows that sugar and sweetness can induce reward and craving that are comparable in magnitude to those induced by addictive drugs." Furthermore, "At the neurobiological level, the neural substrates of sugar and sweet reward appear to be more robust than those of cocaine." Yes, you read that correctly, more addictive than cocaine! And it concludes that the "biological robustness in the neural substrates of sugar and sweet reward may be sufficient to explain why many people can have difficultly to control the consumption of foods high in sugar when continuously exposed to them." I'd say so! So, what to do to control cravings? The answer is not a simple, single trick - as much as we would love that - but the good news is that there ARE strategies to control cravings. First it's important to identify our individual 'triggers". Next it's important to REMOVE these triggers from our immediate environment (you can't eat something if it's not there). And next we must REPLACE those treats with healthier, but still tasty, treats. You can't take something away, without putting something else back in its place - or the change simply won't be sustainable. We help our patients come up with specific ways to do this, every day. Our goal is to help patients create - and SUSTAIN - successful healthy lifestyles. There are additional strategies that can be very effective to help control cravings, which are beyond the scope of today's blog. And the best success comes from the creation of individualized strategies to address each person's unique needs. Lifestyle change can be tough - be we can make it easier, and help improve success - through education, problem-solving, coaching, and support. Weight management medications can also sometimes be helpful when ESTABLISHING new, healthy habits, and can even be useful to help SUSTAIN healthy lifestyle (more on this in future blogs, including using a modified Finnish Sinclair Method of intermittent medication to help control addictive responses to triggers.) But again, that is too much to discuss in today's blog! If you are struggling with cravings, and would like help, we'd love to help you! 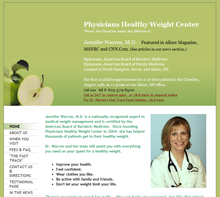 Give us a call at (603) 379-6500, and read more about our program and strategies at healthyweightcenter.com . Big news: a FOURTH new weight management medication has just been approved, called liraglutide (brand name Saxenda). The active ingredient is the same as that in the diabetes drug Victoza. It's a glucagon-like peptide-1 (GLP-1) receptor agonist, and is taken as a once a day injection. As with ALL weight management medication, Saxenda is NEVER to be used to REPLACE healthy diet, exercise, and behavioral strategies, it is used to help SUPPORT healthy lifestyle as an 'adjunctive' (add-on, supportive) treatment for those who need help to achieve a healthier weight. It is not recommended for certain people - those with a personal or family history of medullary thyroid carcinoma (MTC), or in patients with multiple endocrine neoplasia syndrome type 2. 4,800 patients have been studied in three clinical trials, with these results: "Results from a clinical trial that enrolled patients without diabetes showed that patients had an average weight loss of 4.5 percent from baseline compared to treatment with a placebo (inactive pill) at one year. In this trial, 62 percent of patients treated with Saxenda lost at least 5 percent of their body weight compared with 34 percent of patients treated with placebo. Results from another clinical trial that enrolled patients with type 2 diabetes showed that patients had an average weight loss of 3.7 percent from baseline compared to treatment with placebo at one year. In this trial, 49 percent of patients treated with Saxenda lost at least 5 percent of their body weight compared with 16 percent of patients treated with placebo." Saxenda's serious possible side effects include pancreatitis, gallbladder disease, renal impairment, and suicidal thoughts. The medication can also raise heart rate and patients should be monitored and the medication should be discontinued in those who experience a sustained increase in resting heart rate. Risks and benefits must always be weighed when utilizing ANY medication, and patients and their medical providers must work together as a TEAM when deciding on therapies! Strategy to get through the holidays: lead with the PROTEIN! We've all seen those silly pop-up advertisements encouraging us to "click here for one simple trick to lose weight". Most of them are ridiculous gimmicks and scams. Would you like some real science to help you instead? I recently attended the international obesity conference called ObesityWeek in Boston. There were over 100 sessions, and over 5000 researchers, physicians, and other weight management professionals participated. (Check out the schedule here: https://obesityweek.com/program/) There was an astounding amount of information presented on nutrition, exercise, lifestyle counseling and medication, but out of the thousands of slides I saw, one simple slide stood out in my mind above all others. It showed the effect of starting a meal with protein, instead of starting a meal with carbohydrate. Long story short - when we begin a meal with bread, our blood sugar spikes up - and stays up - which is unhealthy. When we begin a meal with protein, our blood sugar stays smooth and controlled. The ‘simple trick’ of starting a meal (or snack) with protein can help control blood sugar - AND can help control appetite, improve our energy level, even help our mood! Raises Basal Metabolic Rate (BMR, also called REE/Resting Energy Expenditure) - you ‘burn’ more calories even when you’re not exercising - simply by increasing the ratio of protein to carbohydrate in your diet. Research suggests that higher protein diets can help ‘burn off’ 350 extra calories per day. Improves Satiety/Fullness/Satisfaction - protein helps you feel more full on fewer calories, so it’s easier to stay on a lower calorie diet! Protein can prevent the fatigue, and ‘hypoglycemia’ that people can feel on ‘old school’ higher-carbohydrate diets. The ‘SAD’ Diet (Standard American Diet) - contains a mere 12% of calories from protein on average. Try raising your protein percentage to 20-35% and you’ll feel more satisfied. Improves Blood Sugar after meals. The effect is strongest when you START A MEAL WITH PROTEIN! Protein has the functional effect of lowering the glycemic index. The A.U.C. (Area Under the Curve) of the post-prandial (after meal) blood sugar stays ‘low and smooth’ if you start a meal with PROTEIN. Improves mental alertness and sustained cognitive performance - as opposed to sugar/carbohydrate-heavy snacks, which give a temporary ‘burst’ followed by a ‘crash’. Wake up in the afternoon with a PROTEIN snack. Heal more quickly after surgical procedures - After surgery, our protein needs increase, and we will heal more quickly if we make sure our protein intake is adequate. What kinds of problems can arise from a blood sugar level which spikes up - and stays up - after a meal? All sorts of issues may be connected: insulin resistance, metabolic syndrome, inflammation, etc. Forty percent of American adults have prediabetes or diabetes now - think about that for a second - 4 out of every 10 Americans have a problem with their blood sugar! Controlling blood sugar through diet, exercise, and weight management is becoming more important than ever! So, back to “one simple trick”: starting off a meal with protein can help us control our weight, appetite, blood sugar - even our mood - through the holidays and beyond.